The following is from Ursula K. Le Guin’s novel, Malafrena. Le Guin has published twenty-two novels, eleven volumes of short stories, four collections of essays, twelve books for children, six volumes of poetry and four of translation, and has received many awards: Hugo, Nebula, National Book Award, PEN-Malamud, etc. In a starless May night the town slept and the river flowed quietly through shadow. Over the empty courts of the university loomed the chapel tower, full of silent bells. A young man was climbing over the ten-foot iron gates of the chapel quadrangle. Clinging to the ironwork he dropped down inside, and crossed the courtyard to the doors of the chapel. He took out of his coat pocket a large sheet of paper, and unfolded it; fished around and brought out a nail; stooped and took off one of his shoes. Having got the paper and nail positioned high on the iron-barred oak door he raised the shoe, paused, struck. The sound of the blow crashed around the dark stone courts, and he paused again as if startled by the noise. A voice not far off shouted something, iron grated on stone. He struck three more blows until the head of the nail was driven home to the wood, then, holding one shoe and wearing the other, he ran hopping back to the gates, threw his shoe over, climbed up and over, caught his coattails on a spike, jumped down outside with a tearing noise, and vanished into the shadows just before two policemen arrived. They peered into the chapel yard, argued in German about the height of the gate, shook its lock, and went off, boots ringing on the cobbles. Cautiously the young man reappeared, feeling about in the shadows for his shoe. He was laughing wildly but silently. He could not find the shoe. The guards were returning. He went off in his stocking feet through the dark streets as the bells of Solariy cathedral struck midnight. The students, deaf mutes, walked past the uniformed officer of the university guard without a glance; only the one called stopped. A handsome red Persian carpet, badly worn, covered the floor of the rector’s office. There was a purplish growth on the left side of the rector’s nose: a wart, a birthmark? Another man stood near the windows. Of Muller, Von Gentz, and Von Haller! With Von Haller, and Muller, and Gentz. “I wrote it,” the young man said. “I was following an historical precedent. I’m a student of history.” From white he turned red. The rector winced and shut his eyes. When he had gone the provincial inspector folded up the paper and laid it on the rector’s desk, smiling. “A young man of spirit,” he observed. They were speaking in German. “Ha, ha, ha,” the rector laughed, appreciatively. 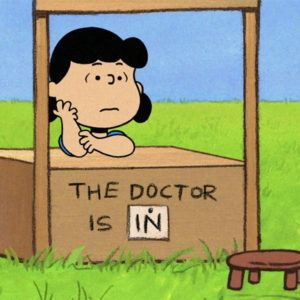 When he had gone, the rector sighed. He sat down behind his desk and looked up at the portrait on the facing wall; his look, absent at first, gradually sharpened. The portrait was of a well-dressed, well-fleshed woman with a thick lower lip, Grand Duchess Mariya, first cousin once removed of Emperor Francis of Austria. On the scroll she held, the red and blue colors of the nation of Orsinia were quartered with the black two-headed eagle of the Empire. Fifteen years ago the portrait on the wall had been of Napoleon Bonaparte. Thirty years ago it had been of King Stefan IV in his coronation regalia. Thirty years ago when the rector had first become a dean he had called boys onto the carpet for their follies, he had tonguelashed and excoriated them, they had been sheepish and they had grinned. They had not turned grey in the face. He had not felt this painful wish to apologise, to say to young Sorde, “I’m sorry—You see how it is!” He sighed again and looked at the documents he must approve, governmental revision of curriculum, all in German. He put on his spectacles and opened the sheaf, his hands reluctant, his face weary in the radiance of May noon pouring in the windows. Sorde meanwhile had gone down to the park along the Molsen and was sitting there on a bench. Behind scrubby willows the river stretched smoky blue in sunlight. Everything was quiet, the river, the sky, the willow-leaves against the sky, the sunshine, a pigeon sunning and strutting on the gravel. At first he sat with his hands on his knees, frowning, his face vivid with emotions; then gradually he relaxed, stretched out his long legs, then stretched out his arms along the back of the bench. His face, distinguished by a big nose, heavy eyebrows and blue eyes, got to looking more and more dreamy, even sleepy. He watched the river run. A voice went off like a gunshot. “There he is!” He looked round slowly. His friends had found him. “What results did they bring about in your case?” inquired Brelavay, a long, thin, dark young man with an ironical look. “Look here, Frenin!” Brelavay burst out—both had spent the last hour in anxious search for Itale, and were upset and hungry—“You’re the one who keeps telling us that we talk and do nothing. Now Itale’s done something and you start complaining about it! Personally I don’t care if the society gets into trouble, it’s a stupid lot of fellows, I’m not surprised there’s a spy amongst them.” He sat down by Itale on the bench. “What would we do there?” Brelavay asked, skeptical, startled. “I suppose the Molsen was running through it a day or two ago,” said Itale, looking at the blue river beyond the trees. “Listen, this is an idea, this is a real idea, Givan. I’ve got to think. I’ve got to eat something. Come on. Krasnoy, Krasnoy!” He looked at his friends joyously. “We can’t go to Krasnoy!” he said. They went off together laughing. When they parted late in the afternoon and Itale set off home his mood was still one of joyful and wondering anticipation. Was it possible that a new life was going to begin? Would he in fact go to the city, live there, work with other men in the cause of freedom? It was inconceivable, fantastic, splendid, how did one go about it? There must be men in the city who would welcome them and put them to work. There were said to be secret societies there, which corresponded with similar groups in Piedmont and Lombardy, Naples, Bohemia, Poland, German states; for throughout the territories and satellites of the Austrian Empire and even beyond, throughout Europe, stretched the silent network of liberalism, like the nervous system of a sleeping man. A restless sleep, feverish, full of dreams. Even in this sleepy town people referred to Matiyas Sovenskar, in exile on his estate since 1815, as “the king.” Which he was, by right and by the will of his people, hereditary and constitutional king of a free country, and emperor and Empire be damned! Itale went striding down the shady street like a summer whirlwind, his face hot, his coat open. He lived with the family of his uncle Angele Dru; before supper he explained to his uncle that he was under nightly house arrest. His uncle laughed. He and his wife, parents of a large brood, had given their nephew a small room, large meals, and unlimited trust; their own elder sons were none too steady, and sometimes they seemed as surprised as they were pleased by Itale’s justification of their trust. “What’s the scrape, what did you pups do now?” his uncle asked. Angele continued smiling but a line of dismay or disappointment appeared in his forehead. “What sort of politics?” To appease him Itale repeated his verse, and then had to explain it. “Oh, well, liberty, rights—don’t be fooled by words, Itale my lad. Words go down the wind, but peace is a God-given thing, that’s the truth.” Angele was sure he had convinced Itale: the ideas were so clear, the facts so patent. Itale, at least, gave up arguing. At table, Angele went off into a tirade against the new tax laws imposed by the grand ducal government which an hour ago he had been defending. He ended on a plaintive note; when he smiled and glanced around apologetically at his family he looked very like his sister, Itale’s mother. The young man looked at him with affection, forgiving him. He could not be blamed for his obtuseness; after all, he was nearly fifty. At midnight Itale was sitting at his table in his little attic bedroom. His legs were stretched out again, his chin was on his hands, he gazed over stacks of books and papers out the open window into the dark. There was the rustle and storm and hush of trees in the May night; the house was near the edge of town, and no other light was to be seen. Itale was thinking of the window of his room at home over Lake Malafrena, and of going to Krasnoy, and of the death of Stilicho, and of the blue smoky river beyond the willows, and of man’s life, all in one long unarticulable thought. The clap of two pair of military boots, Austrian issue, came down the street, stopped before the house, went on. “If it must be so, it must; it’s necessary,” he thought with apprehensive joy, as if these words summed up the rest, and listened to the soft storming of the leaves. His climb over the gate into the silent courts of the university and his interview with the rector now seemed to have occurred long ago, when he was a boy, before his acts had significance. It now seemed to him that when Frenin had said, “I’m thinking of Krasnoy,” he had expected the words: they had to be said; they were inevitable. He would not go back and live out his life on the farm in the mountains. That was no longer possible. It was so completely impossible that he was free to look back on that existence, which until today he had considered his unquestionable destiny, with longing and regret. He knew every foot of the earth there, every act of the day’s work, every soul, knew them as he knew his own body and soul. Of the city he knew nothing. “It must be, it must be,” he repeated with conviction, joy, and fear. The night wind, fresh with the smell of damp earth, touched his face and swayed the white curtains; the town slept on under the stars of spring. 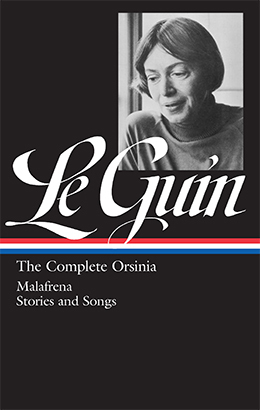 From the just-published URSULA K. LE GUIN: THE COMPLETE ORSINIA, volume #281 in the Library of America series. Used by permission of the author. What Do Your Reading Habits Reveal About Your Personality?